Wantable vs Stitch Fix vs DailyLook vs Gwynnie Bee vs Fablectis & More! 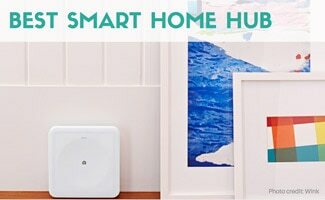 Home » Shopping » Clothing Subscriptions » Best Monthly Clothing Subscription: Wantable vs Stitch Fix vs DailyLook vs Gwynnie Bee vs Fabletics & More! Best Monthly Clothing Subscription: Wantable vs Stitch Fix vs DailyLook vs Gwynnie Bee vs Fabletics & More! Want to keep up with current fashion trends but don’t have the time or patience to pound the pavement from store to store? Maybe you just don’t know how to coordinate outfits or even know what types of styles work best for your size and body type. Monthly subscription boxes for women can help you reach your fashion potential, and they’re booming these days. See our picks for where to find the types of clothing and accessories you’re looking for without doing much legwork. After extensive research into monthly clothing subscriptions, we’ve chosen some of our favorites, based on the type of wardrobe needs you have. 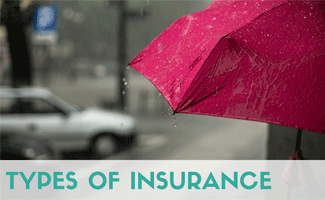 Then we give you some noteworthy recommendations for additional services that caught our eye! Stitch Fix, the company that started the trend of clothing subscription boxes in 2011, is our choice for best overall clothing subscription for women. Stitch Fix has its process down. With more than 1,000 stylists, a variety of clothing, accessories, shoes and a sophisticated algorithm that alters your style profile based on your feedback about the pieces you receive, Stitch Fix is the company to beat. 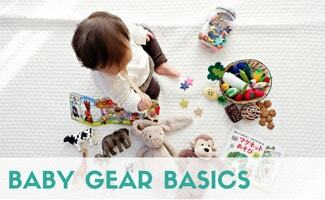 Stitch Fix also provides clothing for men and children. You fill out an online profile, which asks you about your size, body shape, what kind of clothing you’re looking for and shows you photos of different styles to see if you like them or not. Then your personal stylist chooses items for you based on your profile. Sizes run from 0/XS-14/XL, plus sizes 14W-24W, 1X-3X, as well as maternity wear. You can choose from a number of options for the frequency of delivery: every two-three weeks, every month, every other month, every three months or you can manually schedule a shipment whenever you get the itch for new clothes. You can even select a budget and request specific items (shirt, pants, etc.). Once you receive your shipment, you have three days to decide if you want to keep any pieces — you just go to your online account to tell them which items you’re returning with their postage-paid return packaging. You’ll receive 5 items in every shipment, which vary from tops, bottoms, dresses, skirts, pants, jeans, shoes, scarves, and other accessories. One of the things we love about Stitch Fix is that they also include a styling card with photos that show you how to coordinate several different outfits with the pieces you receive in each shipment. Even if you decide not to keep all your items, it still gives you great ideas if you’re not a fashionista! 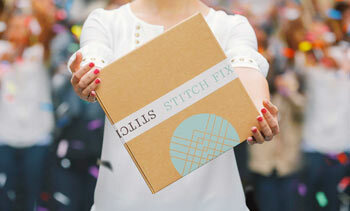 Who’s The Ideal Stitch Fix Customer? If you’re at a loss as to how to coordinate outfits and like surprises, Stitch Fix is a good match for you. Consumer feedback online is generally good about their customer service and reliability. Many customers advise that it may take a few shipments for your stylist to nail down your style and preferences. What Else Does Stitch Fix Offer? Stitch Fix now offers a monthly men’s clothing subscription box. Available items include casual shirts, dress shirts, pants, jeans, shorts, swim trunks, blazers, outerwear, shoes and more. Some of the premium brands they carry include Ben Sherman, Original Penguin, Scotch & Soda, 7 For All Mankind, Mavi and Converse. They currently offer waist sizes 28-42 and inseams 30-34. Stitch Fix doesn't have coupons very often, but if we find any they will be posted here! Trunk Club is one of the best clothing box options on the market for men. Originally called Trunk Club Men’s Outfitters, Trunk Club was acquired by Nordstrom in 2014 and added women’s clothing in 2015. You know you’re getting high-quality and a wide variety of brands, thanks to Nordstrom’s reputation for excellent lines of clothing. One of the best features of Trunk Club is that you have more choices for specific items and delivery frequency than allowed with many other subscription boxes. Another plus is that they waive your styling fees if you’re a Nordstrom cardholder. When your trunk is ready, they’ll send you a digital preview, which includes items and prices. You get 48 hours to approve or change items in your digital trunk. Once you give the green light, you’ll receive your trunk in four to six business days. You get five days to decide what you’re going to keep or return. Shipping and returns are free. Another plus of Trunk Club is that you’re not tied down to regular shipments. You choose whenever you want to order a new trunk, or you can set up regular shipments with your stylist for monthly or just seasonal deliveries. It’s totally in your hands. There are no monthly fees, only a fee per shipment. Trunk Club boxes are larger than most. 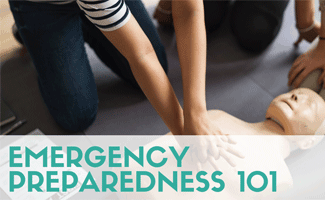 You get anywhere from six to ten items, which can include shoes, dress or casual shirts, sports coats, pants, jeans, outerwear, shorts, swim trunks and more for men. Some popular brands include Fidelity Denim, Eton, Ted Baker, Vince, J Shoes, To Boot New York and many more. Who’s The Ideal Trunk Club Customer? Trunk Club could be a saving grace if you find shopping for clothes a nightmare. It’s also a great option for men (and women) who want to stay stylish but don’t have the time or fashion sense to pull together polished looks. Are the items too trendy for men on the conservative side? Absolutely not. Trunk Club offers a wide range of styles for everyone from the conservative businessman to the trendy hipster. We have a dedicated Trunk Club Promo Code page to post and discuss coupons here! Gwynnie Bee is an excellent clothing rental-to-purchase option for plus-sized women (sizes from 10 to 32) who want to update their wardrobe. Their monthly fees are pretty expensive, especially if you only want a few pieces. It could be a great option if you need that one-time cocktail dress (they also offer free shipping both ways, and they take care of dry cleaning). How Does Gwynnie Bee Work? Unlike Stitch Fix, you pay a monthly fee to rent their clothes, although you do have the option to purchase at a discount if you can’t part with an item you love! You choose the piece(s) you want from their website, and you’ll receive your shipment within 2-3 days. And you can rent pieces for as long as you’d like! The number of pieces in your shipment depends on the monthly subscription you choose (anywhere from 1 to 10 items). They have a good selection of all types of clothing — cocktail dresses, business, casual weekend, date night, etc. One drawback? Gwynnie Bee doesn’t offer any accessories (bummer!). The prices below are per the number of items you have rented out each month; their website didn’t display purchase prices. Who’s The Ideal Gwynnie Bee Customer? It’s not always easy to find stylish plus-sized clothing, but Gwynnie Bee may just have what you’re looking for. Because it’s a rental subscription service, it could be especially good if your weight fluctuates. We have a dedicated Gwynnie Bee Promo Code page to post and discuss coupons. Who wants to look grubby at the gym? Fabletics, co-founded by actress Kate Hudson in 2013, is a popular clothing box subscription service that specializes in fashionable and affordable women’s fitness wear (they’ve also added men’s fitness tops and bottoms). Their activewear is high quality, and they offer a variety of versatile pieces. You have the option of purchasing fitness outfits as a “guest” or joining their VIP membership program, which is $49.95 per month. More about that later. How Does Fabletics VIP Subscription Work? You begin the Fabletics process by filling out a short lifestyle quiz, which includes questions about your workout habits, color choices and sizes. As a VIP member, you’ll receive an email on the first of every month with personalized workout outfits for you to choose from. You have by the 5th of the month to choose the outfit(s) you like or pass on that month’s choices (this is done online in your VIP account). If you don’t purchase anything that month, you’ll receive an account credit for your monthly fee, which you can apply to subsequent purchases. If your purchase is more than $49.95, you pay the difference. At least one full workout outfit of 2-3 pieces that you’ve chosen. These can include pants or shorts (yoga, running, workout, etc. ), sports bras, t-shirts, tank tops and more. >We have a dedicated Fabletics Promo Code page to post and discuss coupons. Who’s The Ideal Fabletics Customer? If you exercise regularly and want to look stylish at the gym — and post-workout errand running — Fabletics is a great choice. You can get some really stylish looking and quality pieces to keep your fitness look fearless! Check out the following video, “Behind the Scenes with Kate Hudson,” to see how you can rock your fitness outfits beyond the gym! Wantable is a popular monthly clothing box that offers three subscription options: women’s clothing and women’s and men’s fitness wear. In fact, it’s one of only a handful of companies that offers a men’s fitness and loungewear monthly box. Wantable, unfortunately, discontinued its intimates and makeup subscription options. All of Wantable’s categories are similar to Stitch Fix. You fill out a short questionnaire, which asks you about your sizes, the types of fitness and loungewear you prefer, colors, etc. Men’s Fitness sizes run from S-XL. Their stylists choose pieces based on your profile, and you receive your box within 5-7 days. Unlike many other clothing subscriptions, you only have the option of a monthly box — but you can skip months or cancel anytime. They give you five days to decide what you want to keep or return. 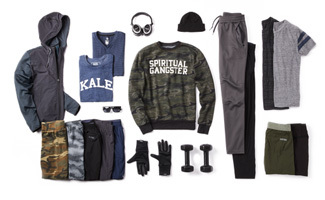 The Men’s Fitness box includes 5-7 athletic and loungewear items featuring the latest styles and performance features from brands like Rhone and MPG Sport. Items can include performance tops and bottoms, sweatpants, shorts, t-shirts, hoodies, fitness socks and more. Who’s The Ideal Wantable Men’s Fitness Customer? This box is an excellent choice for guys who hate to shop and don’t want to research the latest fitness styles. If your workout wardrobe largely consists of t-shirts and sweats, Wantable can really spruce up your look at the gym or when you’re out for a jog. What Else Does Wantable Offer? Wantable also offers the following monthly subscription boxes. 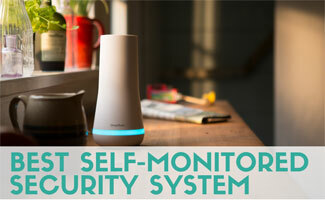 Read our full Wantable review for more information. 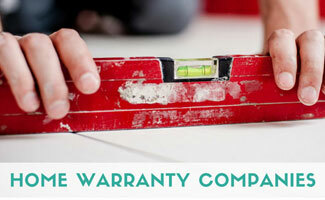 We have a dedicated Wantable Promo Code page to post and discuss coupons. Daily Look Elite has some super stylish and fashion-forward options, mainly geared toward women in their 20’s and 30’s. Daily Look Elite Box is similar to Stitch Fix in its process — you fill out a short quiz, and their stylists choose items for you to receive each month. How Does Daily Look Work? 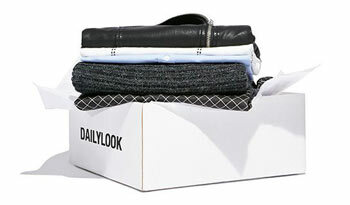 Daily Look Elite’s box is a monthly subscription-based clothing service that asks you to fill out a short quiz, and their stylists choose items based on your answers. You pay a monthly fee that’s applied to your purchase, and you receive their box within a few days. You have 5 days to decide which items you want to keep. Each subscription box includes 7 to 11 trendy pieces, which can include a variety of clothing, shoes, bags, jewelry, scarves, belts and sunglasses. 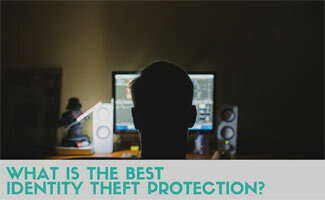 Based on your profile quiz, their stylists choose the items you’ve set as the higher priority. We have a dedicated DailyLook Promo Code page to post and discuss coupons. Who’s The Ideal Daily Look Customer? If you’re in your 20’s or 30’s and want to keep up with the latest super trendy looks, Daily Look could be your box of choice. They seem to have more fashion-forward pieces instead of classics, so if that’s your thing, then try them out! 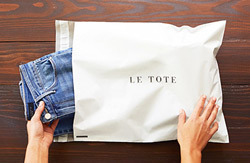 Le Tote is a women’s fashion rental service that sends you clothing and accessories that you choose. You wear the items and return them when you’re finished. If you don’t select certain items, they are chosen based on current trends and your personal style. Choose what items you’d like to rent and have them shipped to your door. Wear the items as many times as you’d like. Then decide whether you’d like to return it or keep it. If you choose to keep it, you may get up to 50% off retail price. Le Tote will send you tops, sweaters, jackets, bottoms, dresses, jewelry and more to fit your dressy or casual lifestyle. Who’s The Ideal Le Tote Customer? Women in their 20’s and 30’s looking for current fashion trends. Also, women who are pregnant who would prefer renting maternity pieces instead of purchasing them to be worn fewer than 9 months. This can also be a great option for when you have a multi-day special event, conference or meetings that require clothing outside your normal wardrobe. Below are some other clothing subscription boxes for you to consider signing up for. BombFell sends men’s clothes that are hand-picked by a stylist. Clothing is geared toward the modern workplace for men. You choose how often you want to receive shipments whether it’s monthly, every 2 or 3 months or only on demand. First, you take a quiz, so the stylist learns what type of clothes are right for you. You can then preview the picks chosen by your stylist before they’re shipped. The items are shipped to you and you have 7 days to try everything on. You keep what you want and send any unwanted items back. BombFell doesn’t state how many items are included in each box, but it seems it may vary based on how much you select. T-shirts, polos, long-sleeves, shorts, jeans/pants, sweaters, vests, jackets, blazers, ties, belts, sunglasses, socks, underwear and more can be included in your shipment. Who’s The Ideal BombFell Customer? 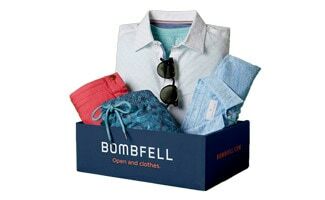 BombFell specializes in men’s casual wear. So, if you’re looking for stuff to wear to dinner, on a casual date, on weekends or to work, this is a great clothing subscription box for you. 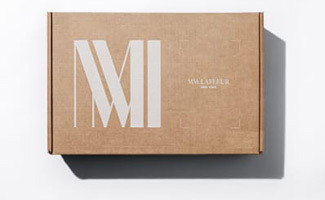 MM.LaFleur doesn’t require a subscription like other clothing boxes in this article. You can choose when you want new work clothing shipped to your doorstep. The pricing for each article of clothing is a little higher than other companies, but we’ve hear that the pieces are very high quality and, thus, likely will last longer. Fill out a short survey online to give your stylist an idea of the type of clothes you like and what you’re looking for. Once received, tou have 4 days to decide what you want to keep and what you want to send back. You are charged for the items you choose to keep. This is not a subscription service. You choose when you want to receive a box and get clothes only when you need them. MM.LaFleur will send you 3 to 5 garments ranging from $110 to $325 each and a few accessories ranging from $35 to $90 in each box. Who’s The Ideal MM.LaFleur Customer? Women looking to invest in their work clothing. MM.LaFleur sends clothing staples to you to wear at your professional workplace. Rent designer pieces for any occasion, whether you’re a bridesmaid or looking for a cute casual outfit. Rent The Runway has thousands of styles to choose from for your women’s fashion needs. How Does Rent The Runway Work? Choose the items you want to rent and have them shipped to you. Once you are finished with your pieces, you can purchase any items you like or return them. You know exactly what is in your box because you choose which items you want to rent. The number of items in your shipment depends on the number of pieces you select. Who’s The Ideal Rent The Runway Customer? Women who want to wear fashionable pieces without paying full price for them. Instead of purchasing trendy styles for all your events or everyday activities, you can rent them and spend less money. Trying To Keep Up With Fashion Trends? As women, we’re bombarded with the latest fashion trends, from TV shows, social media and magazines, like Marie Claire. The reality is that most of us don’t have the time or money to come close to the “ideal” fashion of the season. If your clothing budget is decent (not astronomical, like high fashion is! ), a clothes subscription box can save you a ton of time and hassle trying to find individual pieces and even whole outfits that you not only need but that ultimately leave you feeling like a fashionista! Before you fill up your closet with new trends, consider cleaning out the items you’ll never wear first and donating them to Goodwill. What’s the best clothing subscription service you’ve tried? I used to have Fablectics. I liked it but I don’t need those many working out clothes so I called to cancel. It was a breeze, just a call to an automated system, press a couple of numbers and done. I have been curious about trying a subscription box, but unless you are already spending a few hundred dollars a month on clothes, I don’t see the value. I usually buy new clothes at the beginning of each season, and once in a while during the year, if I find a really good bargain, but the amount I would be spending per year on this far exceeds what I normally spend in a year of shopping. I think most people can do just as well shopping bargains at Marshalls, Macys, TJ Maxx, and Nordstrom Rack, without being locked into a monthly contract that takes money out of your account, whether you want it to or not. My neighbor gets StitchFix and I always see her packages and cute outfits but I work from home and don’t know if I’d see the value in their service. However when doing some research I came across this review and was surprised to find out about Fabletics – since I do yoga and nearly live in my yoga pants, I will give them a try and hopefully have some new, stylist workout outfits soon!